If FC Edmonton head coach Jeff Paulus is to be believed, the Eddies haven’t quite taken on their final form as the Dominican Republic pre-season session comes to a close. 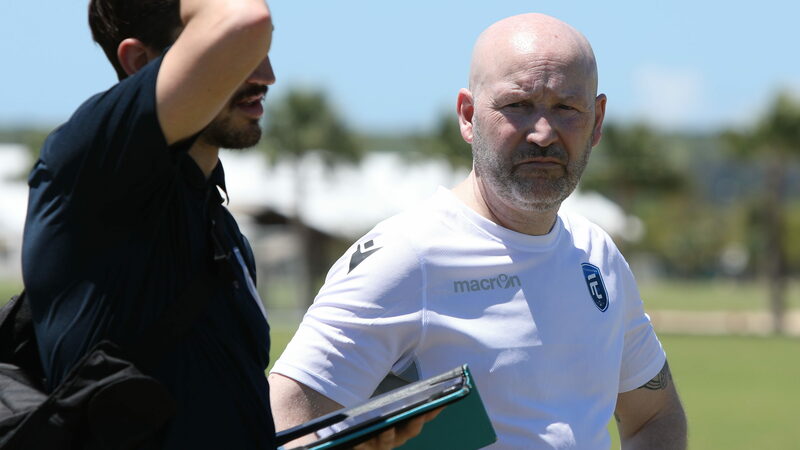 The Eddies wrapped up their Caribbean pre-season stint on Sunday with a friendly fixture against HFX Wanderers FC, and while Paulus was generally pleased with the team’s defensive ability after the match, he did tease there was a missing piece to FCE’s puzzle. The unnamed central defender will arrive in Edmonton on Wednesday, according to Paulus. The acquisition, Paulus explained, would also allow him to move a ball-playing defender – possibly Ramon Soria or Mele Temguia – into a holding midfielder position. FC Edmonton leaves Punta Cana feeling fit and happy with their performances. It was a good experience for the Eddies, according to Paulus, who highlighted his team’s defensive work while in Punta Cana. “Teams haven’t really been able to play football against us when we’re defensively sound,” Paulus said. “The biggest improvement I’ve seen this week is defensive shape, how we wanted to press and find those moments where we can press and when we don’t.